When I was a teen, travel was mostly about train journeys. Each time we embarked on a train journey, the baggage of reality was the first casualty. And of all the seductions of train travel, the most enticing was the possibility of a chance encounter with a stranger. Oftentimes I imagined meeting him in a first class compartment, discovering him just as the train emerged from a dark tunnel. Or watching the handsome stranger sleep on the adjacent berth. All because the movie Casablanca and some tacky novels had left footprints on my delusional mind. But instead of meeting mysterious good looking strangers, my imagination was trampled by heavy boots of reality. More often than not, my travel companions were pot bellied gassy men, loquacious aunties or naughty kids who enjoyed hanging on the berth like monkeys. Most wouldn’t even allow me the privilege of a short nap. Tell me if I am wrong, but many youngsters hold on to romantic possibilities while traveling. And unlike me, some even get to meet interesting strangers. After holy matrimony, the entire travel matrix had changed. My tryst with travel held great excitement of meeting parents or my husband who was abroad. So travel imagination was predominantly about meeting loved ones - the explosion of emotions, the squeals of joy and the moments of embrace. Today when I travel with family, comfort and relaxation are the key words. The mantra is to travel light and travel right - the shortest possible route with lightest possible luggage. While on a vacation, I aim for total relaxation. And unlike most, I am perfectly happy when I am lazing around, doing nothing. I mean, why else would I take a break? with family. The Maldives is a long narrow country formed by twenty six natural atolls - ring like coral formations enclosing lagoons. There are over three thousand coral reefs in and around Maldives. Due to the countless number of reefs, all you need to do is travel 30 minutes by boat to get to a different dive spot every day. Night diving is particularly exciting as it lets you experience interesting flora and fauna. No, I haven’t been there yet, but I plan to. Perhaps, this October. Unlike the past, I plan to travel smart by striking the right balance between budget and comfort. On our previous cruise to Krabi and Penang, the tour operator booked us on a long flight via Colombo. Cooped in an endless hopping flight, I felt like a chicken in a cage. Worse, the hotel booked for us was in a red light area and not exactly what we had imagined. After heated arguments and last minute change of hotels, I realized that it is best to book flights and hotels yourself to avoid any disappointment. With Skyscanner, it is really easy to compare and select the best options available. The free services enable you to compare several airlines and offer deals on hotels worldwide. View Hotel which overlooks the popular surfing area (the website says there is free cancellation, which works for me). 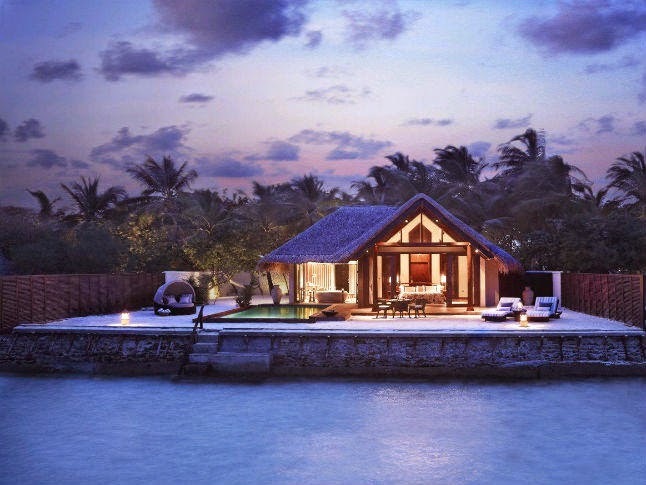 Another boutique luxury venture in the middle of Ari Atoll looks promising too. Sigh, I am sold on Taj Exotica. Notwithstanding the minor hiccups, who can stop my imagination on an over-drive since the tenth grade? Imagine landing on a slender strip of verdant land surrounded by a transparent sea that transforms into a million shades of blue-green. There I am, at the centre stage enjoying the symphony between rumbling clouds and gurgling waves - a microscopic speck in the grand scheme of things. Suddenly it begins to rain. And the following morning, the sand appears satiated – glistening in the glorious sun. Bliss. 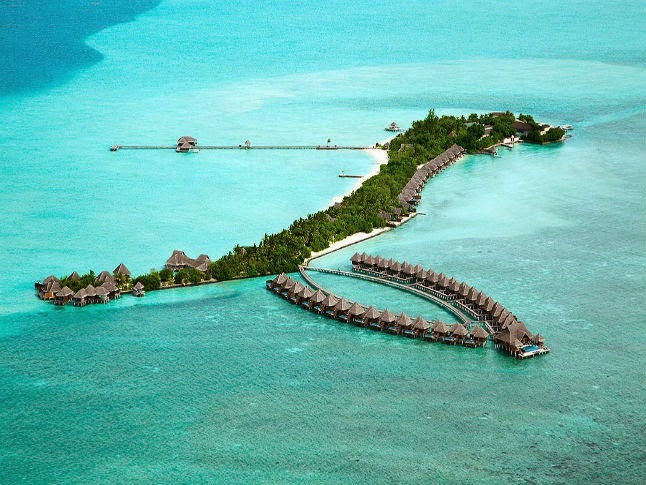 My Dream Destination - Taj Exotica, Maldives (Picture Courtesy).This post is written for fun and Indiblogger Skyscanner contest. I had read post by KayEm couple of days ago but could not leave my comment, which I have done now. Read two current post today. I hardly see movies these day but you have enticed me to make efforts to see Queen. Wish you all the best for your well deserved break. Thank you Jack for reading my posts and spending time on my blog. Apart from relaxation, soaking in the nature is also the aim. Thank you for reading Anshul. Every time my daughter travels on her own, she hopes to be seated next to a handsome brooding stranger. Alas, the truth pays no heed to her fantasy and she invariably ends up with the elderly. Maldives has been on my list for a long time but its prohibitively expensive. The trigger for writing this post was a conversation with my son. He too said something about a pretty girl being seated next to his berth. The contest is incidental. I don't stand a chance with others writing about how to book flights, carry currency, learn the language and book a taxi. Nicely intertwined the past and the future make it interesting as well as relevant for the contest. Best of luck for the contest. Thank you Sneha. Good to see you here. Alka, You painted a beautiful image of Maldives. Have a nice and relaxing trip.Best of luck for the context. Beautiful post Alka, with subtle relevant humour, great entry too. wish you luck! Train travel...haha a disappointment always of having girl next seat here. Maldives- Have a great time. 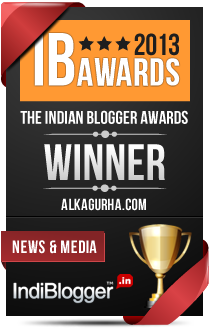 Research before goin is awesome, ur blog post visit I look forward for :-) Good luck for Indiblogger competition! Thank you Prakash. Your support means a lot. Taj Exotica, Maldives looks awesome. Good luck! If you go back in time Saru, there was Pakeezah too. A travel romance. Yep, me too, never been on a long distance train or a cruise either. Maldives does seem inviting but I've heard that it is very expensive. Good luck for the contest. Thank you Rachna. Whenever possible, do try a cruise. My most memorable 3 days were on a cruise. That sure made me think of a trip to Maldives :) and you know what, I still hope to be seated next to a handsome stranger sometimes, relive those old times :) all the best for the contest! Vinaya, it was an overnight stay so we only saw a few painted faces and that's about it. True. And thank you for reading. Maldives has long been in my bucket list :) I loved how then and now emerged and finally merged. Common, you may be pot bellied but you are definitely not gassy! ABC mobile institute of technology is best known for his led tv repairing course. we give you the best service in the NCR Delhi.